Brooklyn’s Finest – This is war. This is Brooklyn. Screenplay by Michael C. Martin. 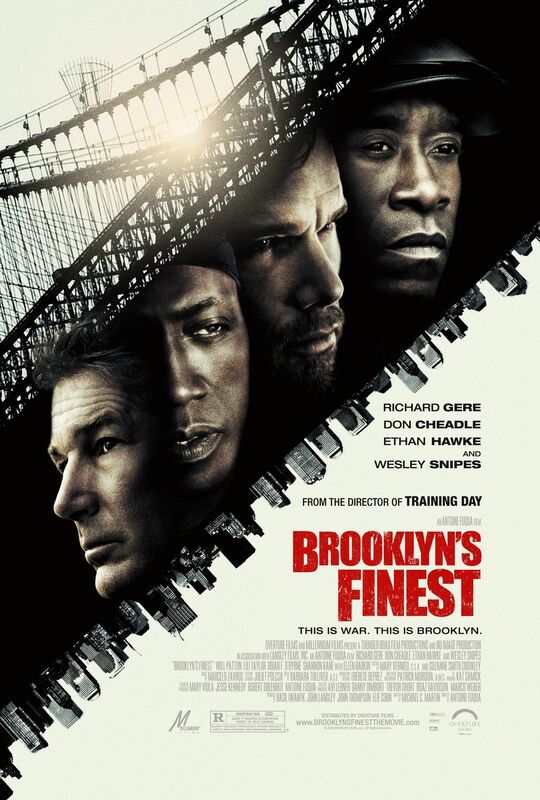 Antoine Fuqua directs this dark tale of Brooklyn’s crime scene. Eddie (Gere) has only seven days left until he retires and the department has teamed him up with a rookie. Tango (Cheadle) has been working undercover for so long he is begging for a suit and a desk. Sal (Hawke) has a sick wife and kids because of the mold in the walls of their house, that he cannot afford to move out of. These three characters provide three different points of view and steer our story to its final conclusion. This movie is extremely well acted and directed. The movie left me feeling a bit underwhelmed but I still think it is worth a watch. If you liked this try: Training Day, Heat, 2 Days in the Valley.